We may not go to Halloween parties (I’ve always thought dressing up was for … well … you know), but I find myself celebrating the day in my own way. It has been over fifteen years since we’ve seen any Trick-or-Treaters here (they stick to suburban neighborhoods without stairs to climb), but both of us like horror films—especially the classics—and I am growing increasingly fond of Victorian and Edwardian horror literature. 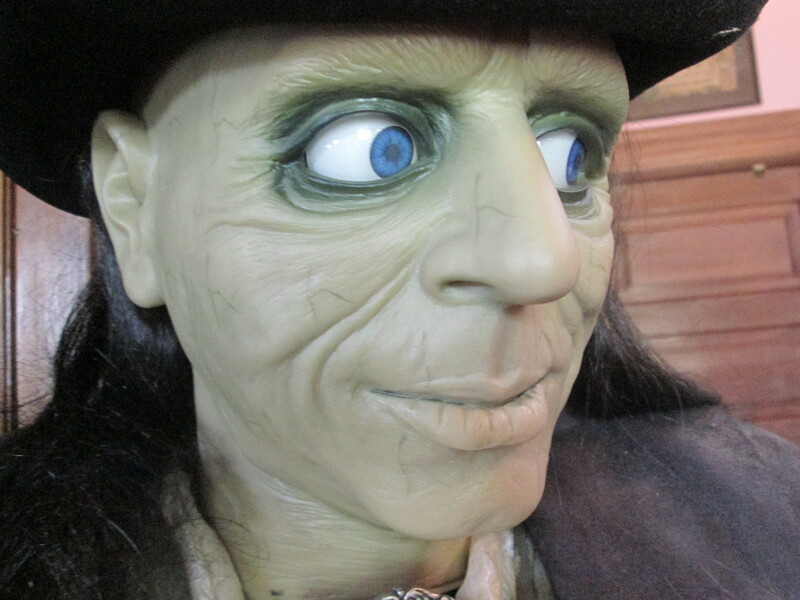 One of the ways we celebrate is visiting the Grier Musser Museum near downtown L.A., where Susan and Ray Tejada have assembled an outstanding collection of Halloween-related memorabilia, including cards, animatronic gizmos, figurines, and paintings. There are half a dozen rooms full of displays. This is a museum for which one has to make an appointment, and Susan gives each group a thorough tour during which she turns on all the battery and other electrical figures and answers questions about how she and Ray assembled the collection. On Sunday afternoon, October 26, there will be a special tour with refreshments included. Other holidays that receive the full treatment are Valentine’s Day, the Fourth of July, and Christmas. This entry was posted in southern california and tagged grier-musser-museum, halloween. Bookmark the permalink.